Congratulations on receiving your offer! You’re just a few steps from joining the University of the Year for Graduate Employment (The Times and Sunday Times Good University Guide 2018 & 2019). We care about you and how you learn. To make sure that life is as easy as possible, all full-time undergraduate Home/EU students starting in the School of Health and Social Care in September 2019 will receive a number of guaranteed items. We will cover the cost of Disclosure and Barring Service (DBS) certification and Occupational Health Assessments for any student* who has to complete a placement. For students who have to wear a uniform as part of their placement, we will provide these for the duration of your programme before your first placement. All students will have opportunities to be involved in School Committees - being involved in decisions that can shape their programmes of study which enhance CVs. BSc (Hons) Sports Rehabilitation students: in addition to your degree, you will also be awarded Register of Exercise Professionals Level 2 and 3, Sports Massage Association Level 4, Immediate Care in Sports Level 2 certificates. The offer extended to you will either be an ‘unconditional’ or a ‘conditional’ offer. If you have been made a conditional offer it means that you will need to obtain any outstanding entry requirements before enrolling on the course. For example, this could include completing the educational qualifications that you are currently studying. 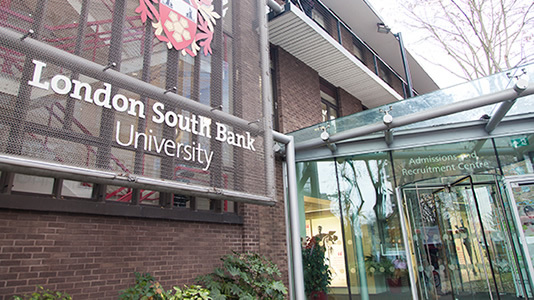 Please send through any outstanding requirements as soon as possible to lsbuadmissions@lsbu.ac.uk, not doing so could delay your offer being changed to ‘unconditional’. The final deadline for meeting your conditions is 31st August 2019. If you do not provide us with the evidence that you have met your conditions by this date, your offer may be withdrawn. Please note that the exam board will inform us of A-level, BTEC and Access results. Applicants who have been made either a ‘conditional’ or ‘unconditional’ offer must also complete the DBS and OH requirements and the offer is subject to the accuracy of information that you have provided throughout the application process. If you need any help with how to accept your offer, please contact us at lsbuadmissions@lsbu.ac.uk. Once we’ve made you an offer, keep an eye out for your email invitation to our Offer Holder Events. These events are tailored just for you, where you can meet your classmates, some of your lecturers, find out more about next steps and modules, and ask any questions you may have. As an offer holder, you may want to start thinking about accommodation, finance and key dates for the university academic year. Find out more via the links below.